You are here: Home / Pool Side Blog / Pool FAQs / How long are pool design meetings? How long does a pool design meeting take? We get calls about swimming pool construction questions all the time from our clients in Montgomery County, and for those who are strapped for time we are typically asked – “How long does it take for the meeting I may not have much time?” So here is a little break-down of how we conduct a typical in house pool design consultation to make the best use of your time. The first objective is to work on your schedule, so it will be up to you to schedule the time that best fits. With that in mind you may want to reserve at least 30 minutes but up to one and a half hours so that you have enough time if the meeting runs over schedule. We like to present as much or as little materials as you are comfortable with. A showcase of the possibilities to get an idea of your style. As you can see, the initial design consultation might take anywhere from 30 minutes to even 2 hours in some cases. It just depends on how involved the project specifications are, and how detail oriented you may be. We can run with creativity and surprise you, or we can take your own drawings and put our prices to the test for you! Many of our clients ask us what exactly they will need during the home consultation. It’s very simple, just be there! We prefer if there are 2 heads of house hold, married couples for example that both are present during the meeting. Property Survey – We prefer a scaled property survey, but we can work with any verifiable and most recent plat plan. We are hoping this has answered a few swimming pool related question that you have in mind when considering purchasing a new pool if you live around Montgomery County Texas. During the construction process of a new swimming pool we are asked so many great questions by our clients that we want to bring all of those helpful answers to others around our local area! Our mission is to build quality swimming pools and spas at affordable prices. Specialized in the construction and remodeling of inground gunite swimming pools around Montgomery County, TX. 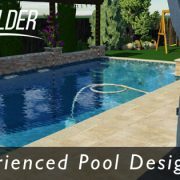 https://www.yourpoolbuilder.com/wp-content/uploads/2017/03/swimming-pool-design-and-build-in-Montgomery-Texas-Your-Pool-Builder.jpg 315 851 Your Pool Builder https://www.yourpoolbuilder.com/wp-content/uploads/2017/04/Web-Ready-Logo-Black.png Your Pool Builder2017-03-28 19:36:012019-03-21 14:08:02How long are pool design meetings? 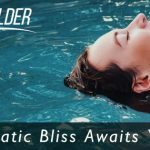 Choosing the right pool builder How soon can we swim after the pool is completed?